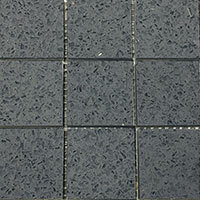 Create a distinctive style in your bathroom or kitchen with tiles from this grey quartz collection. 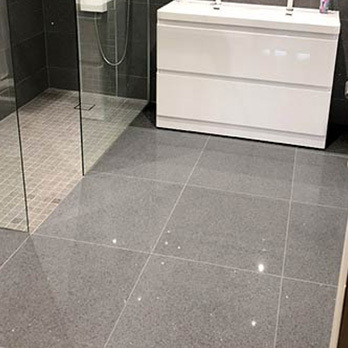 If you are looking to provide walls and floors with a unique appearance, we highly recommend sparkly grey tiles from this range. Not only do we supply grey quartz as standard format wall and floor tiles but we also have mosaics available – which are perfect for backsplash designs and borders. Grey quartz is available in a variety of sizes, thus enabling you to acquire the best format for your interior layout. If you are interested in any of the wall and floor tiles within this grey quartz section then you can order a sample first to see if they are well suited to your chosen layout. We also provide delivery direct to your door.